American Eagle Construction Inc. is fully State Licensed and Insured. As required by Georgia State Law. American Eagle Construction Inc. was founded by Bill Whelan and Garry Heget in 1994. We have the combined expertise of over 60+ years having completed projects ranging from Custom Homes and Additions to Remodeling and Renovations. No matter the size of your project-American Eagle Construction Inc. provides quality, stress free construction that won’t bust your budget. We at American Eagle Construction are totally dedicated to your complete satisfaction. We take great pride in all our work and expect nothing less from our crews and our subcontractors. We go to great lengths to make sure your project never looks like an “add-on”, but seamlessly blends with your home: like it was always there. We work, worship and raise our families here in the community. We are dedicated to remaining here. Over the years many of our clients have become our friends and we can’t think of a better place to work and live. 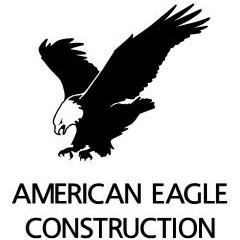 For more information about American Eagle Construction Inc., contact us through this website by selecting “Contact” on the menu or call us at 770-486-9779.